For many writers, coffee and writing go hand in hand. Not only do we love the thrill of look-at-me-I’m-writing-at-a-café (as if we’re not really writers unless the public sees us doing it), but we also love that caffeine rush. But caffeine, by itself, doesn’t make you a productive, efficient writing machine. You’re not able to cram 3 hours of writing into 45 minutes because of that cup of dark roast. And it’s not the only reason why you’re shockingly pleasant before noon. So why is caffeine the difference between writing 10 pages or nodding off? It all comes down to science. These will come into play later. Caffeine blocks adenosine receptors. That’s because adenosine and caffeine have similar compound structures, thus allowing caffeine to bind to the adenosine receptors first. Adenosine is in charge of slowing down nerve activity in your brain, giving you the cue to calm down and go to sleep. It’s also responsible for regulating dopamine activity in the brain. Not when caffeine’s in the house. Since caffeine gets to the adenosine receptors first, nerve activity in the brain isn’t slowing down anytime soon. That’s why you feel more awake. The activity level of dopamine in your brain increases, leading to heightened brain activity. Among many things, dopamine enables you not only to see rewards but also to take action towards achieving them. In other words, you are more focused on your writing with caffeine in your system. Remember those three molecular compounds? Theobromine increases the flow of oxygen and nutrients to your brain. That’s why you feel more clearheaded when you’re thinking about what you want to put in your writing because it’s much easier with caffeine in your head. Paraxanthine enhances your body’s athletic performance by increasing the rate of fat breakdown to fuel muscle activity. That’s why your muscles feel more agile and your hand doesn’t cramp up after hours of writing or typing. Theophylline increases your heart rate, leading to a feeling of being more alert. It takes your body 3-5 hours to break down caffeine, so caffeine at late hours is a bad idea unless you’re planning to stay up and write for, well, at least 3-5 hours. Hmmm. Where do I sign up? Shockingly, I dislike the taste of coffee, so I seek other sources, many of which are bad for the body. Sometime I hope to make enough money writing that it doesn’t matter if I stay up all night. I agree. I drink coffee on desperate days, but a hot mug of tea is the right amount of caffeine for me. 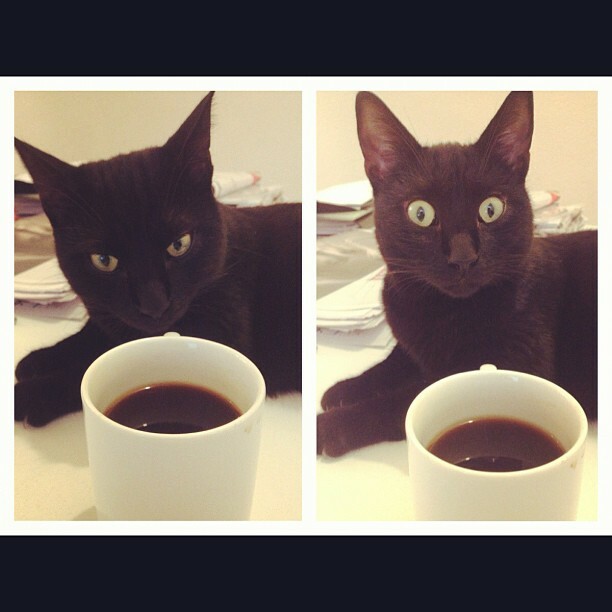 I tend to get paranoid when I drink coffee. I like your plan! That way you can buy all the luxuries to make up for staying up all night (massages, a cozy bed, a relaxing vacation…). I’m curious. What are your “other sources”? Evil corporations that put sugary, carbonated poison in a plastic bottle, slap on a pretty red or blue label, and charge me to drink it.